Some time back I came across the news that insurance companies are planning to raise the premium of health insurance products to neutralise the rising cost of healthcare…the medical inflation was pegged at 15-20 per cent per year. Now the moot question is whether inflationary healthcare costs are driving the demand for health insurance or increasing health insurance is driving the inflation in healthcare costs? Which is the cause and which is the effect? 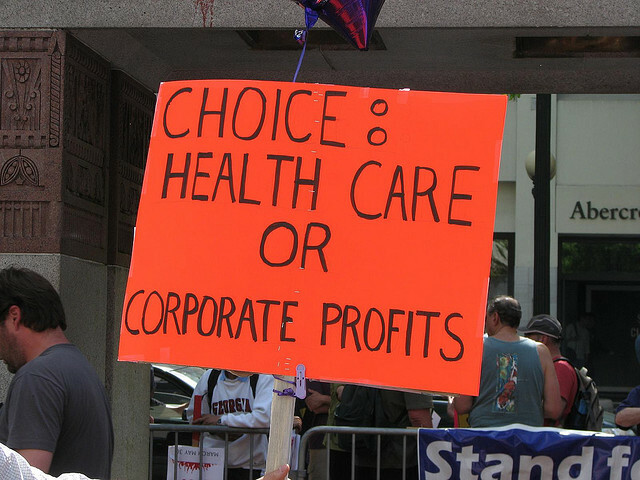 to begin with health insurance increases the price of healthcare services, but then why? Because it acts as inducement to hospitals to jack up the rates for medically insured patients who don’t seem to care thinking that over-billing doesn’t affect them. It is like a vicious circle; as more and more people opt for medical insurance, more expensive the medical treatment becomes as there is more opportunity to / inducement for hospitals to raise the healthcare costs which in turn raises the cost of medical insurance and force the already insured persons to increase their health cover and also force the self-insured to go for health cover. In this game both the insured and the insurer are losers (the same article mentioned the loss ratio from medical portfolio of NIC to be 140%), only hospitals gain…that’s the reason a lot of 5-star type hospitals are mushrooming in the metros who don’t even hesitate to operate on a dead man…to make a few extra bucks. Same is the state of affairs in US – where an individual can’t exist without having a health insurance—that’s why it’s a must for anybody going to US to have a medical insurance….and we’re trying to catch-up with the US gradually. Similar is the case with motor insurance…both the insurer as well as the insured are loser…the real beneficiaries are Surveyors and the Motor Workshops…now, please don’t ask me why? Yes Fisher, I'll not ask why. But any suggestions what can be done about this 'racket'? I have still not taken health insurance cover, is it expensive and what if my spouse get reimbursement for pre and post hospitalization expenses?